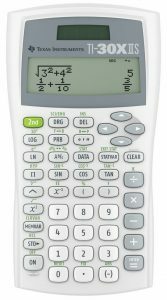 The TI-30X IIS scientific calculator is another in a long line of great calculators for students and professionals who don’t need graphing capabilities. It is a great choice for general math, algebra, geometry, trigonometry, statistics and science classes. A menu system lets you select settings appropriate to your needs. The Texas Instruments TI-30X IIS Scientific Calculator features two-line display and other advanced features users get with the TI-30X IIS. The display shows the equation you are creating on the top line, and the numbers or symbols you are currently entering on the second line. Once the equation is solved, the results are displayed on the second line, and you can use the four arrow keys on the front of the calculator to edit the original equation in any way you like for a recalculation. Better still, pressing the up arrow repeatedly lets you browse through a cache of dozens of previous calculations, meaning you can look back to see the answer to a problem. The device uses solar power when possible but can fall back on the internal batteries (which are included) if there isn't enough light. There are three angle modes (degrees, radians, and grads), scientific and engineering notation modes, and even one- or two-variable statistical modes. Five variables can also be assigned to their own memory slots. The calculator comes with a Snap-On cover that fits on the back of the device. Ideal For: General math, pre-algebra, algebra 1 and 2, geometry, statistics, and general science. 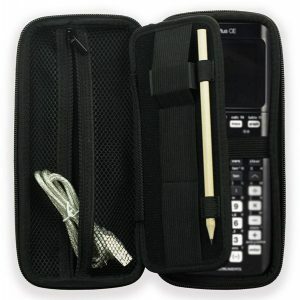 Exam acceptance: Texas Instruments TI-30XIIS scientific calculator is approved for use on SAT*, ACT*, and AP* exams. This scientific calculator is solid for the price. I think graphing calculators are the best because of the multi-line screen but if your school doesn't let you use them like mine, then this is the next best alternative. I bought this calculator for my daughter who has special needs. It is for her geometry and intergrated algebra class at high school. It is so simply to use. She learned how to use it right away. She was able to correct my mistake as I forgot to push the second button first so we could solve her square root problem. It was recommended by her teacher and I was hesitant to buy it. I thought she would have trouble using it. She proved me wrong. She takes it to school everyday and Keeps it in her special pouch. We have been using it for homework also. I purchased this same model in 1990 when I was in college for the first time. Two weeks ago if finally "gave up". When I went to purchase a new scientific calculator I was surprised to see that this one was still around. Happy to have it tag along during graduate school. An absolute classic of a calculator. I used maybe this exact same model over a decade ago in school, and just purchased this one for my niece in 6th grade. It has a nice big display that makes it easy to see and every function that she will need for the next few years. It is also approved for any state testing. I don't know if the graphic calculators are allowed yet, but they weren't when I was in school. Good calculator. I bought this ti-30x iis scientific calculator because I somehow misplaced two of my calculators, one just like this one and another a graphing calculator. 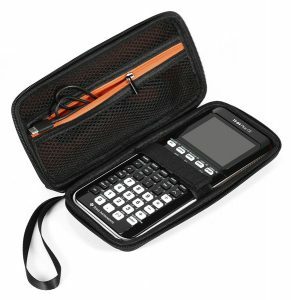 It works really well for little things like statistics and math and has a lot of functions. For the price, it is worth it and it was a last minute buy. This calculator is loaded with enormous problem solving capabilities. Perhaps better suited for the die-hard "Mathematician." Not recommended for beginners. This is an excellent scientific calculator. I'm working on a certification for 6-sigma greenbelt at work, and for the exam they require a "calculator without an alphabetic keyboard." 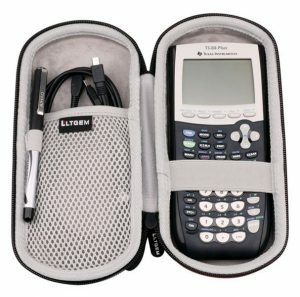 So, I couldn't use my old Texas Instruments TI-89 Advanced Graphing Calculator from college or Texas Instruments TI-85 Advanced Graphing Scientific Calculator from high school. I've only had it for a few weeks, but I'm already impressed with how easy it is to work with. I'm particularly impressed with it's statistical capabilities--I would have thought you would need a more of a heavy duty graphing calculator to do some of the things I've been able to do with this little guy. I am currently attending WGU for my BA. I recently had to take a math class. I needed more then a basic calculator but not a graphing calculator. I looked around and decided this Texas Instruments TI-30x IIS scientific calculator was the way to go. I am so happy with my purchase! This calculator got me through my math class with ease. I was able to perform all the necessary problems using this calculator and will be using it for future classes as well. This is an affordable scientific calculator that is easy to use and I love the different colors it's available in. I personally bought this in pink and couldn't be happier. A simple, effective scientific calculator. I am a math tutor, and so carry a TI-83 (too cheap to upgrade) and this TI-30x II. This is a nice, light, inexpensive unit that does everything that you actually need. You can use the five memories to repeatedly evaluate algebra expressions with different variables - a real timesaver for some tasks. The linear regression and statistics capabilities are obviously more limited than those on an 83/4, but for the basics, a bit easier to use. I would recommend this unit to any student as the daily carry, and save the more expensive (and more costly to replace if stolen) 84 for when you need the graphing or higher level functions. 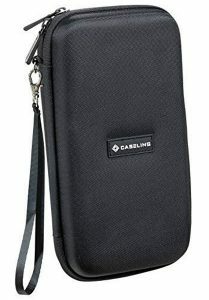 Caseling CASE for Graphing Calculator TI-84, 83 / Plus / CE. 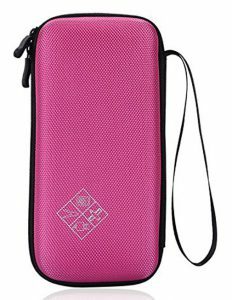 + - Hard Carrying Travel Storage Case Bag - Includes Mesh Pocket.